Are you trying to get your company recognized but aren’t sure where to start? Consider expanding your social media platforms. Using social media to promote your business can be the difference between a good business and a great business. Not only does it help solidify your relationship with customers, it helps you expand your potential audience, leading to more traffic and more sales. If you are easily recognizable on Facebook or Twitter, you increase the chances of potential customers turning to you instead of one of your competitors. A video of your mission statement on YouTube can let customers know everything about your company’s goals in minutes, helping create connection with customers. Showing off your new products or campaigns on Instagram can stimulate interest before they are launched, leading to increasing sales. 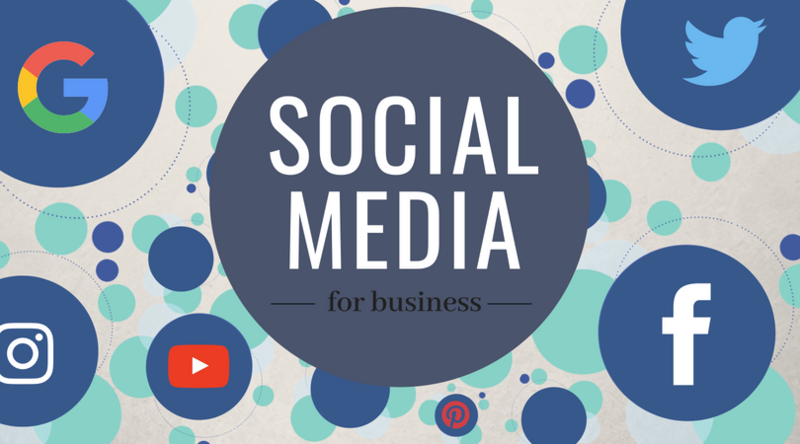 There are many benefits to using social media for your business. With its ever-growing presence in our lives, it is becoming a more important tool for promoting businesses than ever before. Understanding how to use social media effectively can be challenging even for the most tech-savvy of business owners. Each social media platform is different. What works for Facebook may not work for Twitter or Pinterest. How people engage with social media is constantly changing too, meaning what works now may not be useful in six months. It takes persistence, patience, and a willingness to try different strategies in order to reach the right people. But with so many different methods available to effectively use social media for your business, the hardest part can be knowing where to start. Here at Continuing Education and Workforce Training, we understand the challenge. That is why we are offering several courses on the ins-and-outs of several popular social media platforms. From social media beginners to experts, these courses can help you take your business’ online presence to the next level. Beginning Facebook - Have you just started a business or are you starting from scratch using social media? Do you know the difference between a Facebook Page and Profile? Learn how to navigate and use the features available on Facebook to create new ways to communicate with your customers. do you do with it? Learn how to create content and a strategy that effectively communicates with your clients and customers. Instagram - Picture, Caption, Publish is the name of the game with this platform, but it’s harder than it seems! Learn how to engage with current followers, gain the right audience, and advance your business with Instagram. Twitter- Write the perfect tweet to grab the attention of your ideal client after learning the strategies in this course. We’ll also cover tweet etiquette and when to engage versus steering clear. Pinterest - Does your business need a Pinterest account? What are the benefits of this “how to” and recipe-ridden platform? Learn that and much more in this course. Google+ - Learn all about Google’s internal social network, how to optimize your business’ search ability and list rankings through the help of your business page. All courses are two, three-hour long sessions from 6-9 PM on Tuesdays and Thursdays. Courses are offered from September 25th to November 13th. 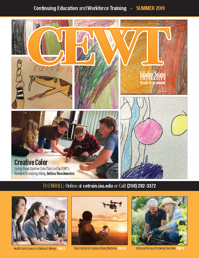 If interested in signing up for any of these classes, please visit cetrain.isu.edu or call (208) 282-3372 to register.